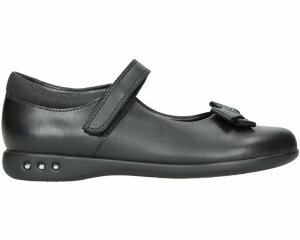 Clarks Maris Fire Inf boys school shoe. Part of the Gloforms range. 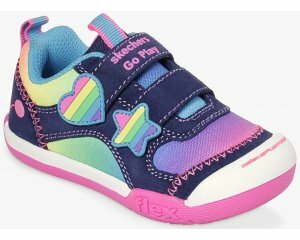 A thick sole adds durability and grip, while a "scuff resistant" toe makes it great for those little explorers! The double velcro fastening allows for adjustability and a secure fit when walking, while Agion linings help keep feet fresh. . Larger sizes are available, see Clarks Maris Fire Jnr.